Hole.io is a recently developed game by the French publisher Voodoo. It is fun and addicting. In this game, you have to compete with other black holes in a single map. Your main objective is to outrank your opponents by eating people and objects around you. You can grow your size by eating a certain number of objects and people. The larger the object you eat, the higher the points you gain. However, Hole.io is only available on iOS devices now, and it may be a pity that Android users cannot have access to the game. But don’t worry too much; here, we’ll show you a practical way to play Hole.io for Android. The best way to play Hole.io on Android is using ApowerMirror. This is a cross-platform screen mirroring app that can be used on PC, Android, and iOS devices. It allows you to mirror iOS screen on Android device to enjoy Hole.iO gameplay on Android. Let’s see how to do it. 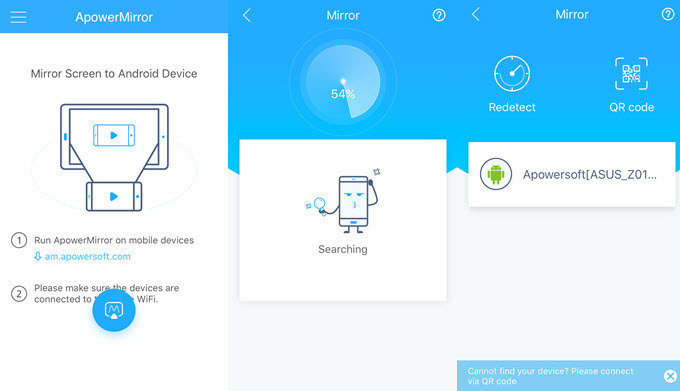 Download and install ApowerMirror on your iOS and Android device. Connect your iOS device and the Android device to the same WiFi network. Afterwards, open the app on both phones. On your iOS device, press the blue mirror button to look for the device you can connect. Once your Android has been detected, tap on it’s name to connect. Then go back to swipe up your iPhone to open the Control Center and tap “Screen Mirroring” or “AirPlay Mirroring” and choose your Android’s name from the available devices. Once your iOS device’s screen has been mirrored to Android, you can open the game Hole.io, start playing it and enjoy it on your Android. Familiarize the map. There is only 1 available map in this game; therefore, memorizing the locations would be advantageous, especially at the beginning of the game. Don’t target trees and streetlights at the beginning. Ignore the trees and streetlights when your hole is at the first level because they tend to be tough and consume a lot of time when sinking. Don’t chase moving objects or people. The game has a 2-minute time limit and every second is important. Instead of wasting your time chasing them, why don’t you target non-moving objects like fences, posts, trees, and benches? Eat other holes. Once you get bigger, you will be allowed to eat smaller holes. Other holes are worth eating since they give 5-50 points depending on their sizes. Avoid bigger holes. When you are eaten by other players, you will be unable to play for 5 seconds, and that will put you at a disadvantage since the game time is limited. Find a crowded location. Avoid going to remote areas and find a good place where there are lots of things to eat. The best location to grow is the enclosed park because there are lots of people and small objects. Cars can rapidly increase your points. Once you get big enough to eat cars, you can roam around eating random things and find their spawn point. You may also look for parking lots to gather points and then eat buildings. Keep on moving. You should keep roaming around and go to the different path where most of the holes are gathering, or you can outsmart them by keeping ahead of them and eating them after sizing up. Playing games is one of the best ways to reduce stress or kill time. 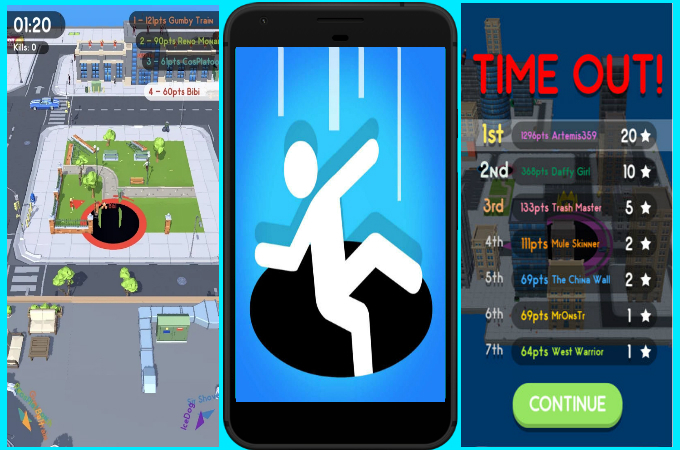 If you find this game interesting and you want to play it on Android, then you can use this article as a reference. We also covered some extra tips to win the game. If you have other tricks on how to play Hole.io on Android, don’t hesitate to share them below.